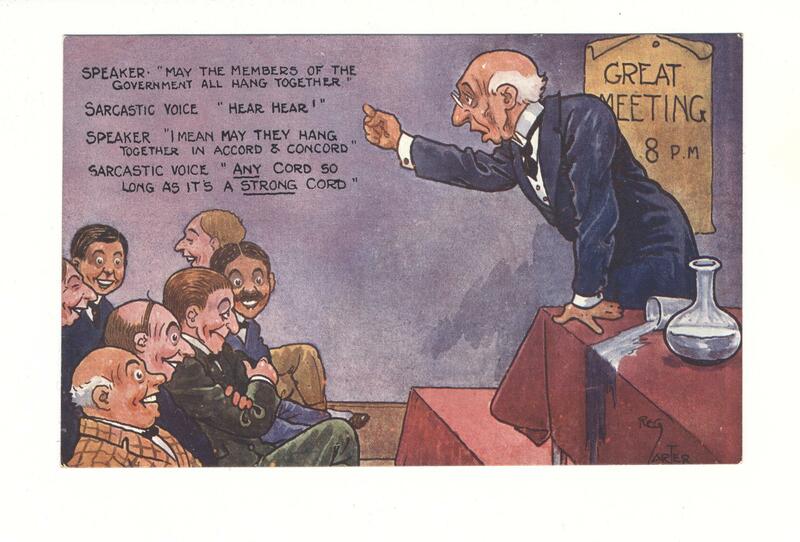 A Reg Carter postcard depicting an unidentified scene from British politics. Carter was a famous cartoonist and illustrator for the early Beano comics. Copyright: E. Mack, King Henry's Rd., Hampstead, London.